Onion Garlic Alternative Low FODMAP Products | Be Plum Crazy! I received the Onion and Garlic Alternative by Casa de Sante Low FODMAP Products in order to facilitate my review. All opinions are my own and may differ from yours. Just Plum Crazy only recommends products that we feel meet or exceed our expectations. I love onion and garlic. Unfortunately it doesn’t love me. However, Casa de Sante has the onion and garlic alternative that you have been looking for. And with it being Low FODMAP, it’s not going to bother my stomach at all. For those that don’t know, I have Crohn’s Disease. I have had it for almost 30 years. I am fortunate because I have not had to have any surgeries. But I do have to watch what I eat. All the time. For one wrong thing could put me in the hospital needing emergency surgery. Did you know thatOver 80 million US adults 18+ suffer sensitivities? With that being said, even spices can trigger severe stomach cramping and pain. Which is why we stay home and eat most of the time. Even after 28 years, I still come across foods that do not agree with me. My doctor has suggested things for me to try over the years. Stay away from Gluten, cut out carbs, don’t eat fresh fruits and vegetables, and follow a Low FODMAP diet. I had never even heard that term before. 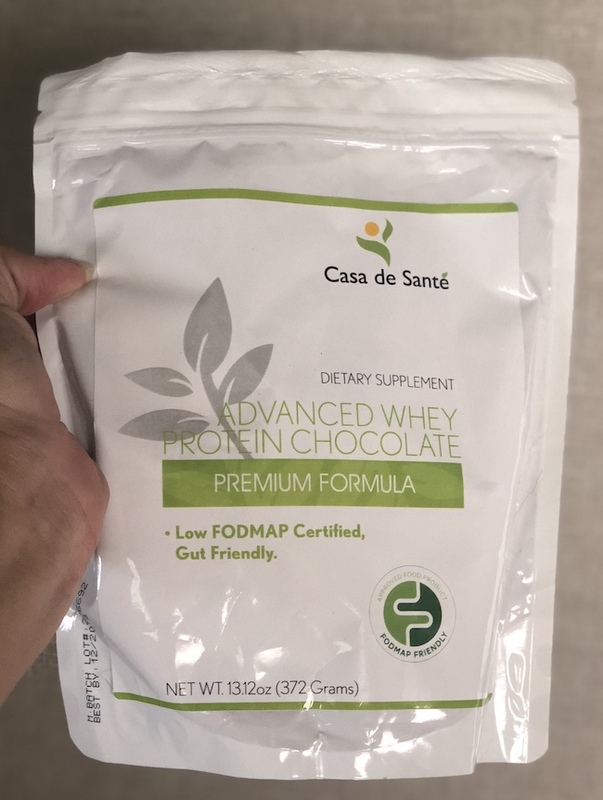 I have tried to follow a Low FODMAP diet as much as I can over the past few years and that seems to curb some of my side effects in my stomach but products like that were hard to find. Luckily, Casa de Sante has Low FODMAP foods, recipes and even meal plans to follow. I have even noticed lately that when he eats certain foods, he complains of his stomach hurting all evening. 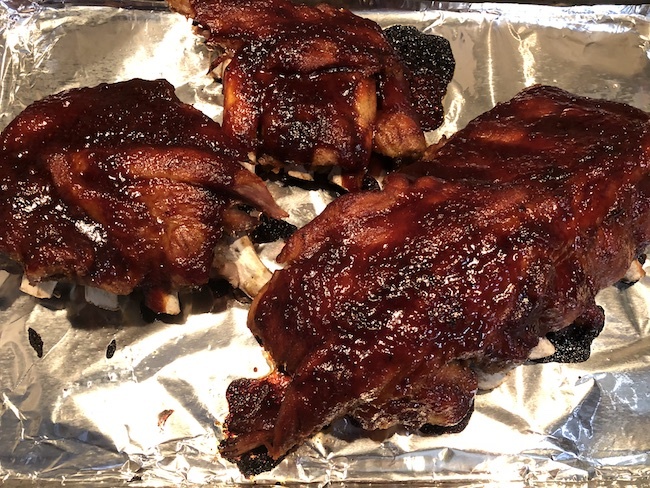 He doesn’t have any health issues like I do, and maybe it’s just because we are getting older, but using the Low FODMAP spices and products might just be the thing he needs too. FODMAP is an acronym that stands for Fermentable Oligosaccharides, Disaccharides, Monosaccharides & Polyols. They can be poorly absorbed into the small intestine causing excessive water to be drawn into the intestine. They can become rapidly fermented by bacteria that is present in the colon therefore causing gas. When water and gas build up, it creates distension, cramps, and diarrhea or constipation. They have many different products available from spices, to Protein Powder, salad dressing, granola, multivitamins, pasta sauce, chunky salsa….the list goes on and on. Did someone say Sheila G’s Brownie Brittle? You can even order a complete meal kit making your life so much easier! ? I like the Protein Powder with 26g of protein per serving because being a type 2 diabetic, there are times when I need more protein. This makes it easy for me to make and take a healthy protein shake with minimal carbs, low sodium, no fat and no cholesterol when I’m going to work out or even just hanging out in the pool. 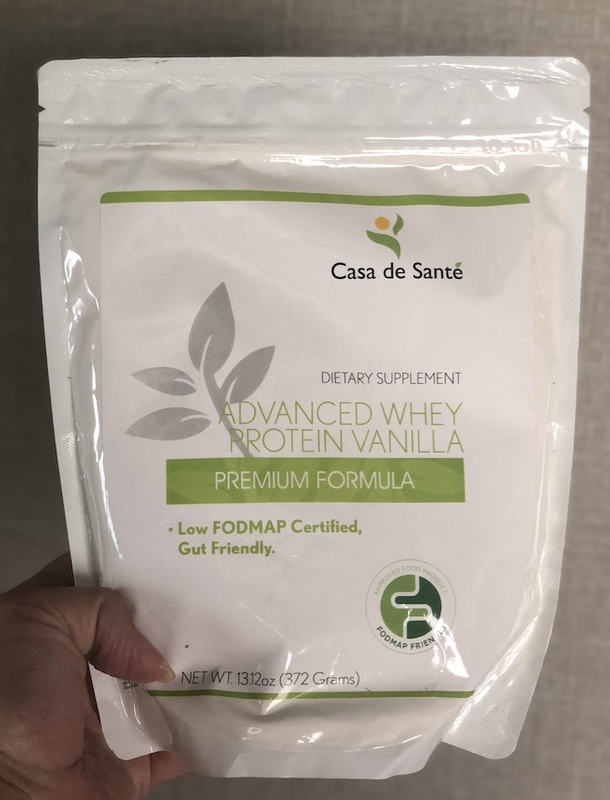 Where to Purchase Casa de Sante Low FODMAP Products? You can purchase them right on their website. It doesn’t get any easier than that. There is also a Casa de Sante app for iPhone and Android so you can track IBS symptoms, find recipes and follow a Low FODMAP diet. Connect with them on Facebook, Twitter, Pinterest and Instagram.